For kids in space-strapped New York (and other cities like it), a play-area is a thing to be revered. Designer Roberto Gil’s new Dumbo Double Murphy Bed, by Casa Kids, is sure to be a game-changer kids with small square-footage. 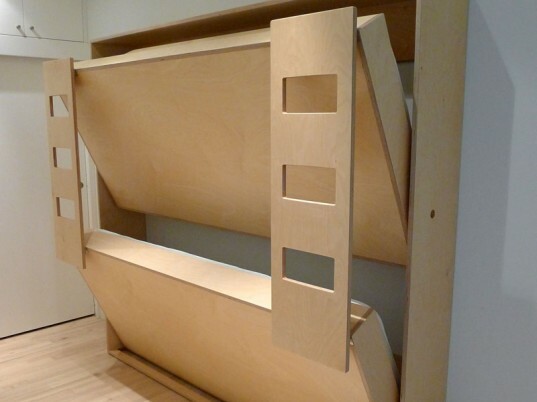 Folding away into a compact, 12” deep cabinet, the bed is sturdy enough to hold the weight of two adults. The frame is also so light an unobtrusive, children are able to neatly fold the bed away on their own, leaving ample space for playtime until it’s time for bed.